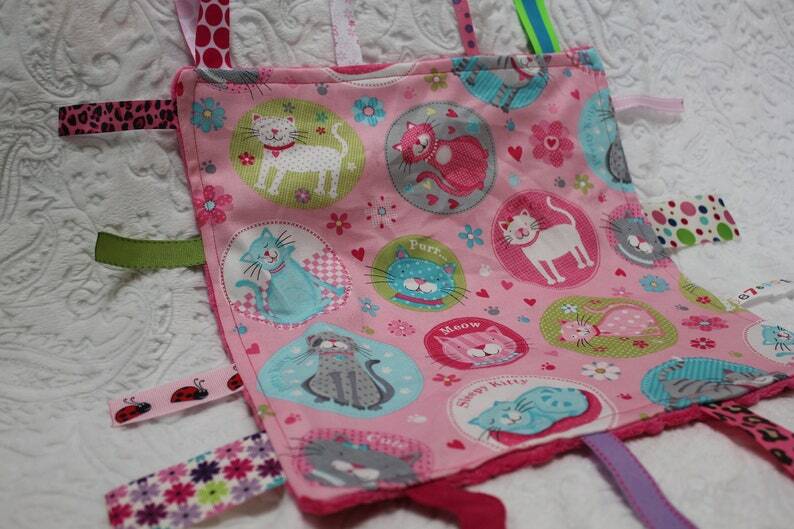 One side is magenta pink minky dot fabric and the other is a pink fabric with cats and kittens all over. The ends of the ribbons have been heat cured to prevent fraying. I can add a pacifier holder attachment to one of the ends if you would like, please let me know when you are checking out if you would like one added (at no additional cost).